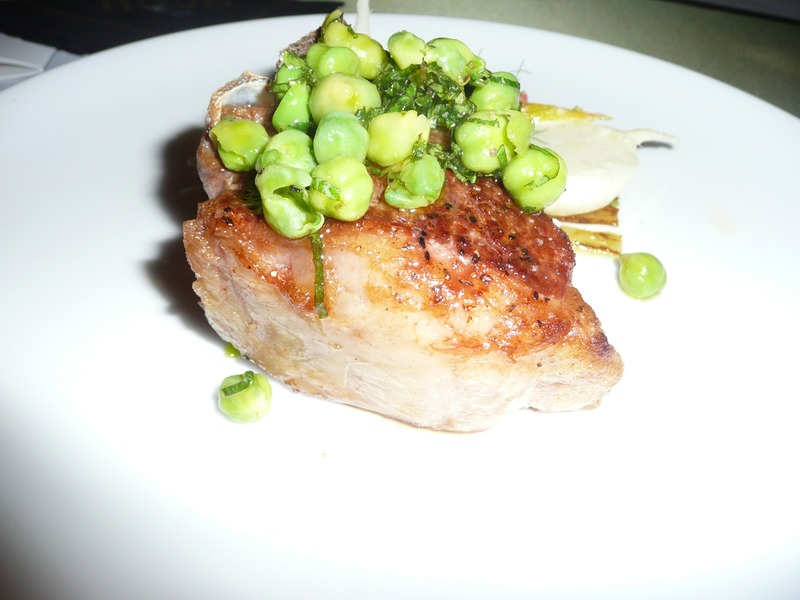 I went to a fabulous foodie event Sunday night called Fashion Rocks, held at BellyQ. 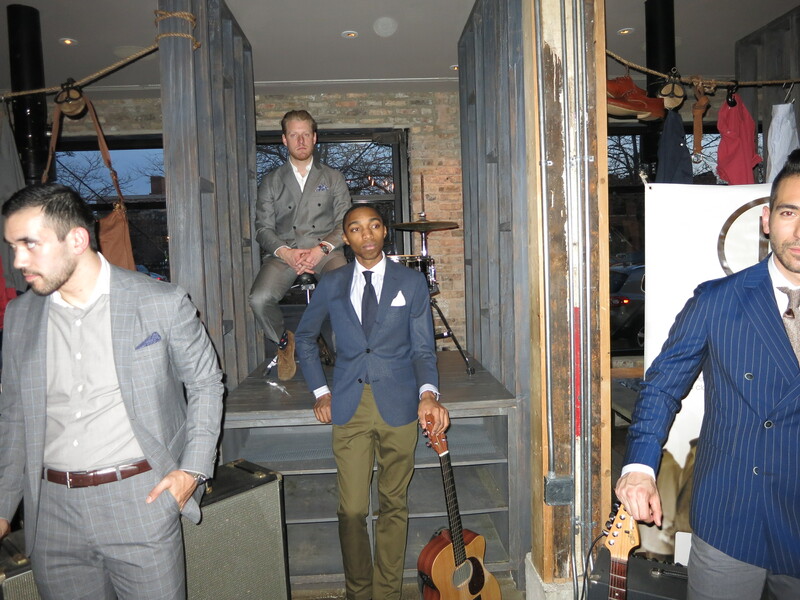 Over 20 of the best Chicago restaurants were under one roof with “fashion installations” by Haberdash, which is a local men’s clothing store in Chicago. What is a fashion installation you ask? Well, it’s a bunch of beautiful men who stand and pose in different scenes and outfits during the night. When I first arrived, they were holding guitars, and I asked “Are you going to play those, or are you models” and they said “We are models” – so of course I had to take a picture. They always looked away from the camera. Fierce! 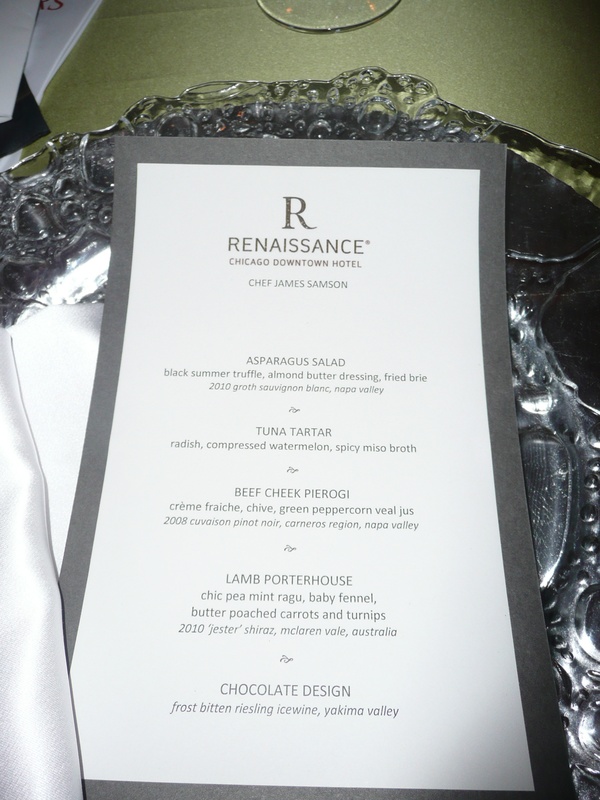 The proceeds of this event went to Common Threads (my favorite charity), and the West Loop Community Organization. Some of the Common Threads kids were helping the chefs out and they were SO CUTE with their full-sized Haberdash ties. 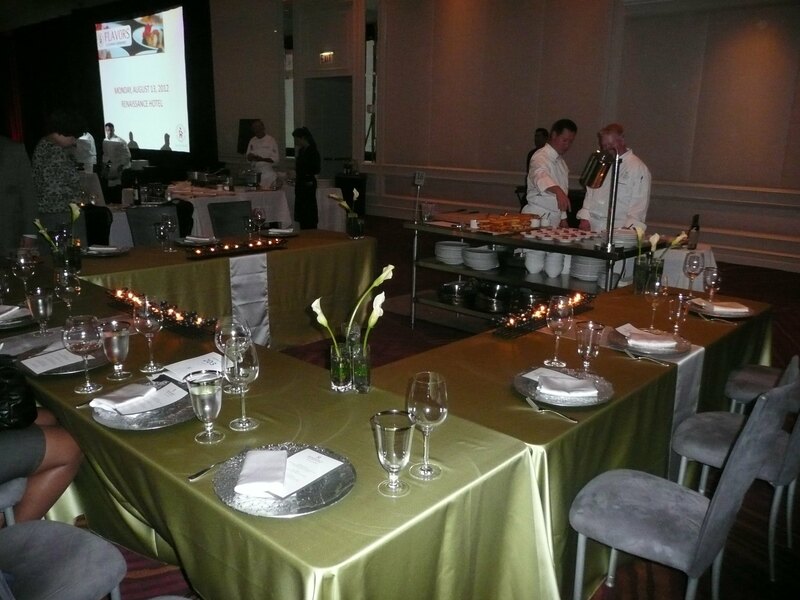 The event was very well attended, and included some of Chicago’s best chefs and food bloggers. 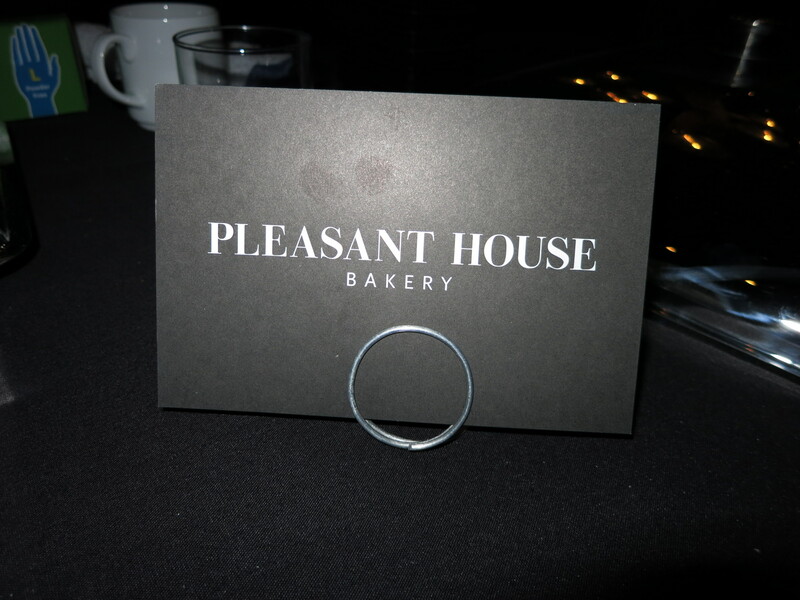 Pleasant House Bakery with their meat pies – definitely a place that I need to visit in the future. 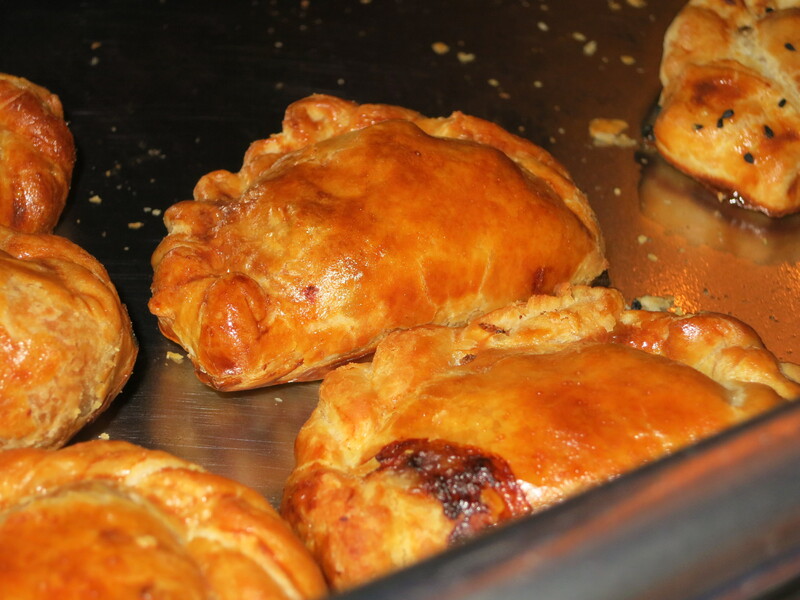 I tried the Steak and Ale pie, the Chicken Balti (which was like a curry chicken, and my favorite), and the Mushroom and Kale pie. 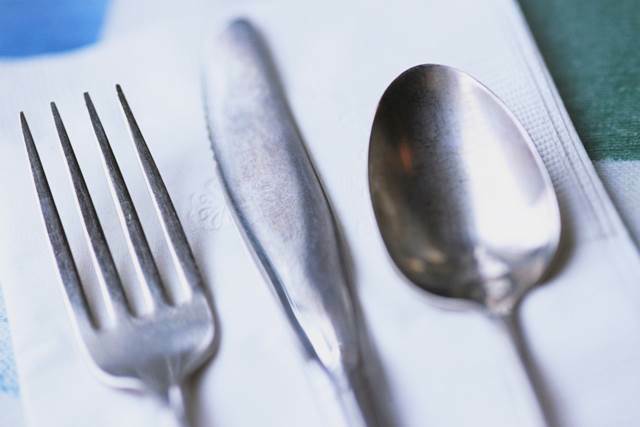 These items are also on their menu at the restaurant. The pie dough was so flaky and delicious, and the owners were incredibly nice and down to earth – like the people next door. 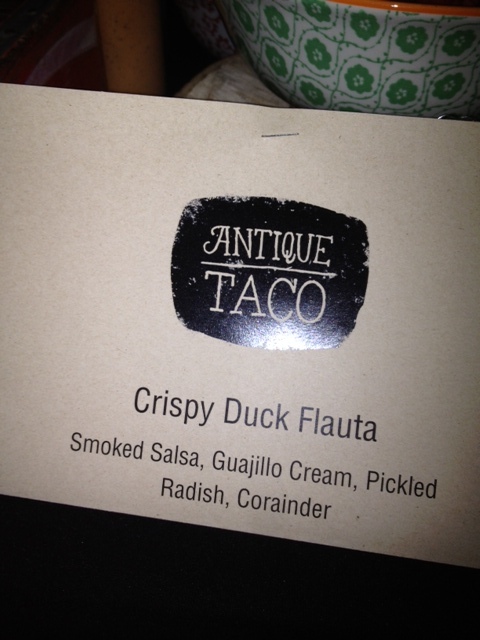 Antique Taco – This is my second time trying Antique Taco at an event (Also tried them at the Common Threads World Festival), and it’s official. I need to go there. ASAP. 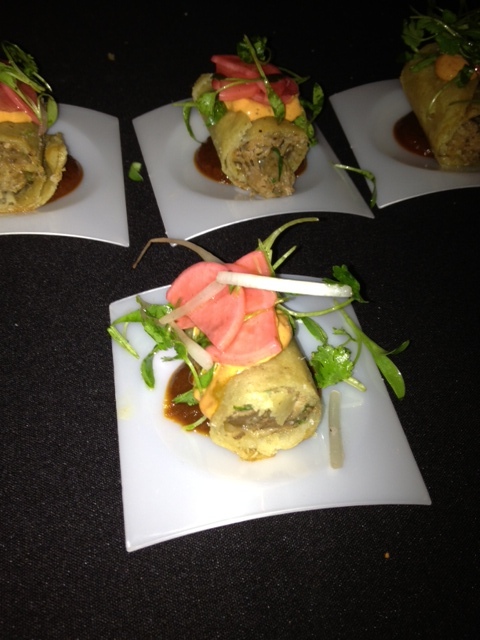 They served a Crispy Duck Flauta that was very well seasoned and had some flavorful surprises. Plus, I like their logo. 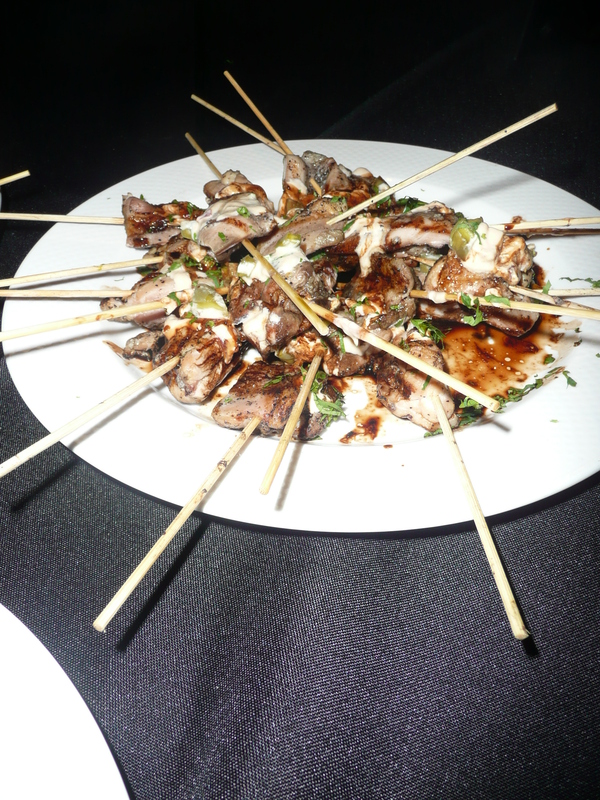 Frontier – Frontier is known for serving different kinds of gamey meat like Rabbit, Alligator, Antelope, and Kangaroo (yes, Kangaroo). 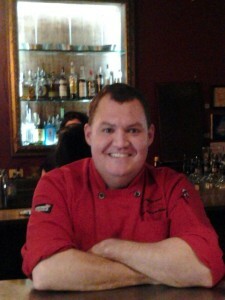 I chatted with Executive Chef Brian Jupiter who is from New Orleans, where he first started cooking different kinds of meats. Most of the meats served at Frontier are local (i.e. the rabbit was from IL) and they cook all of these different kinds of meats in an approachable way, so that they don’t scare people away. 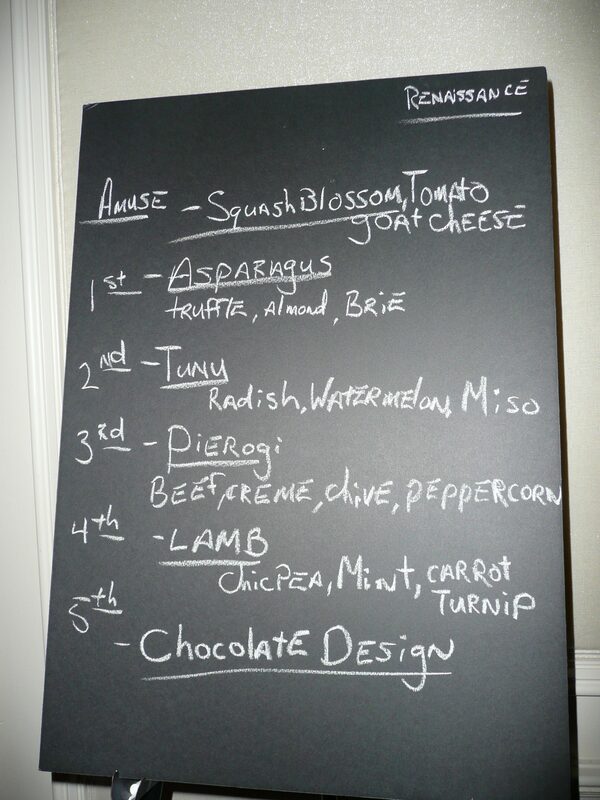 If these items are a bit much for you, the menu also includes a nice mix of foods that you are used to eating. 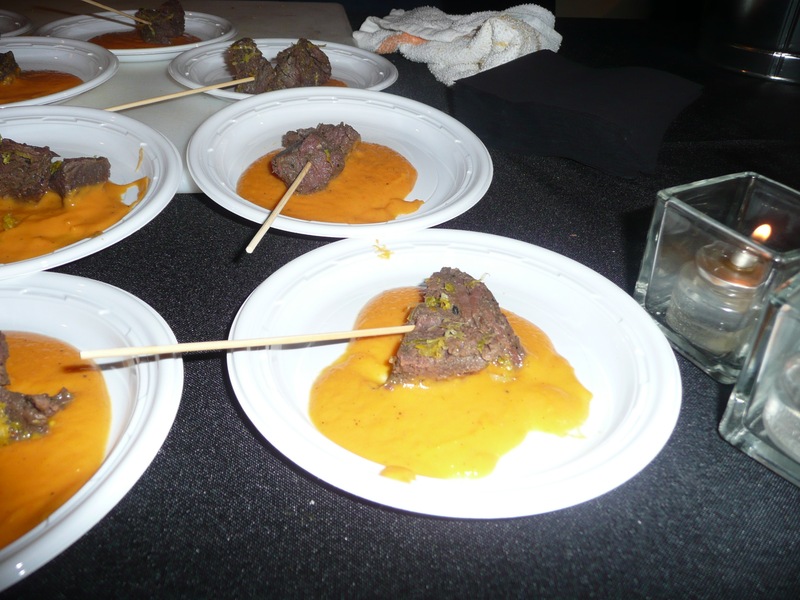 I tried the Rabbit Etouffee at the event, which was really delicious – the flavors were well-balanced and I would have never known that I was eating rabbit. I could have easily been fooled into thinking that it was chicken. 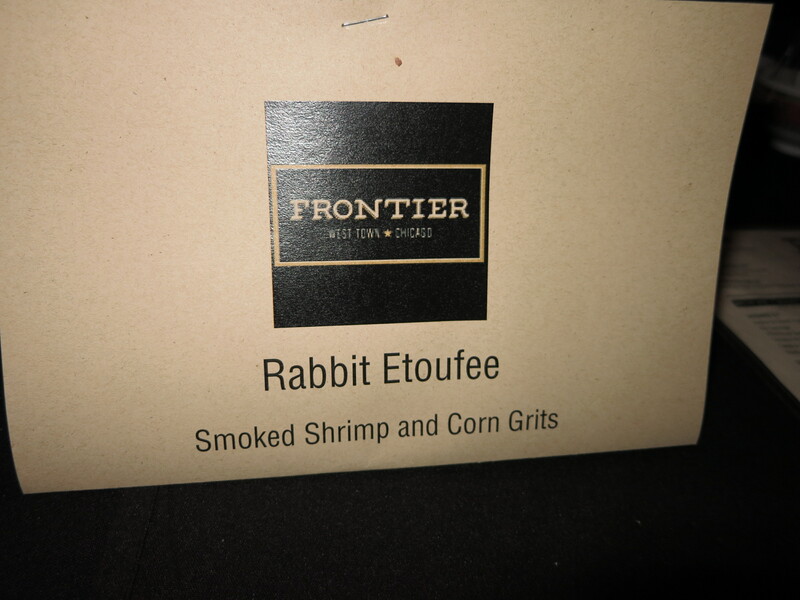 Frontier also has brunch on Friday, Saturday and Sunday, so they are definitely on my “must visit” list. since brunch is my favorite meal of the day. One item on the brunch menu that has caught my eye is the fried rabbit and cornmeal waffle dish with spiced pear butter and habanero maple syrup. I also have my eye on the bananas foster French toast and the Praline Pancakes – I know that they will be good since chef Jupiter is from New Orleans. *I also learned that Frontier has a large enclosed patio, which will be great spot for the spring and summer. 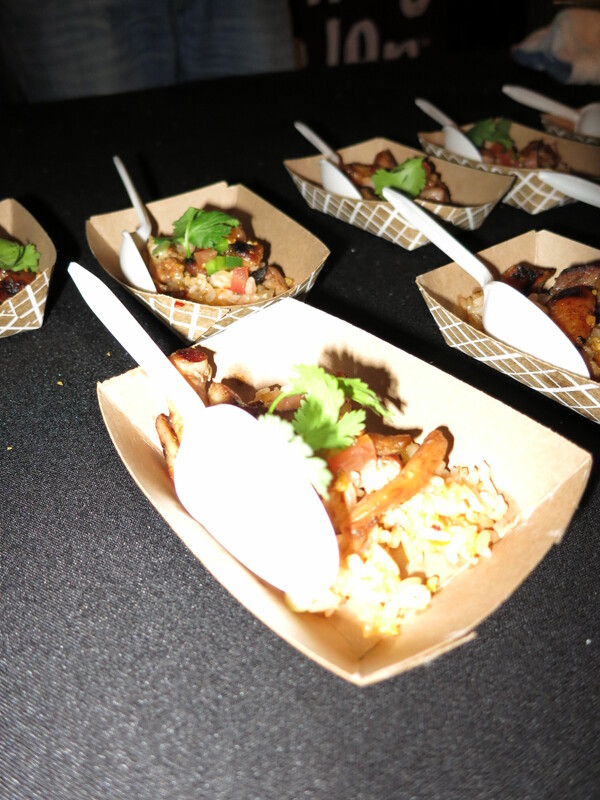 I really enjoy going to these events because I can have a little taste of different restaurants and then visit the restaurant later if I like what I taste. Great event for an amazing cause. Bon Appetit! 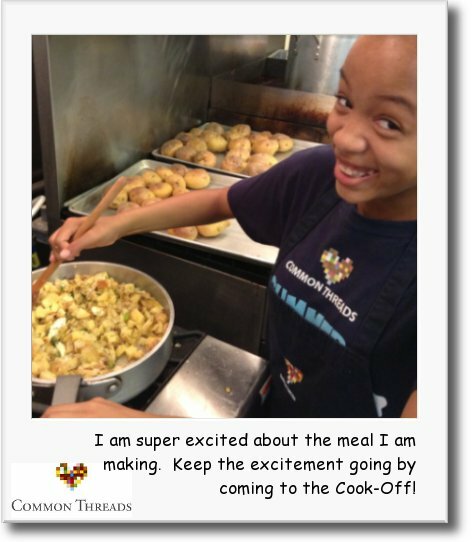 Thursday, I attended the Common Threads Cook Off hosted by the Associate Board (which I’m a member of). What a fantastic event. 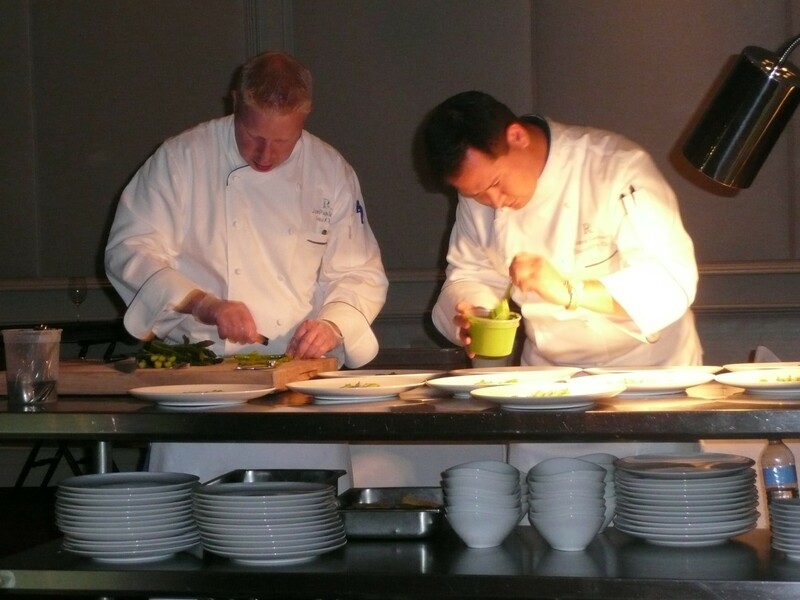 This is the kind of event that leaves you feeling like an honored guest – well fed, well watered and well taken care-of. The event was held downtown at the Fulton’s on the River restaurant, which is an excellent venue for an event of this magnitude. 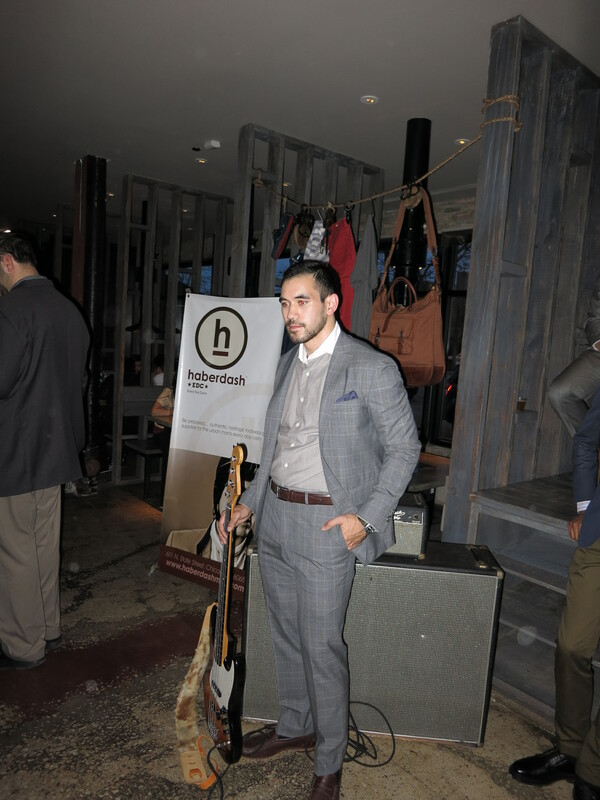 The entire downstairs section was used for this event, which was very well attended with approximately 350-400 guests. 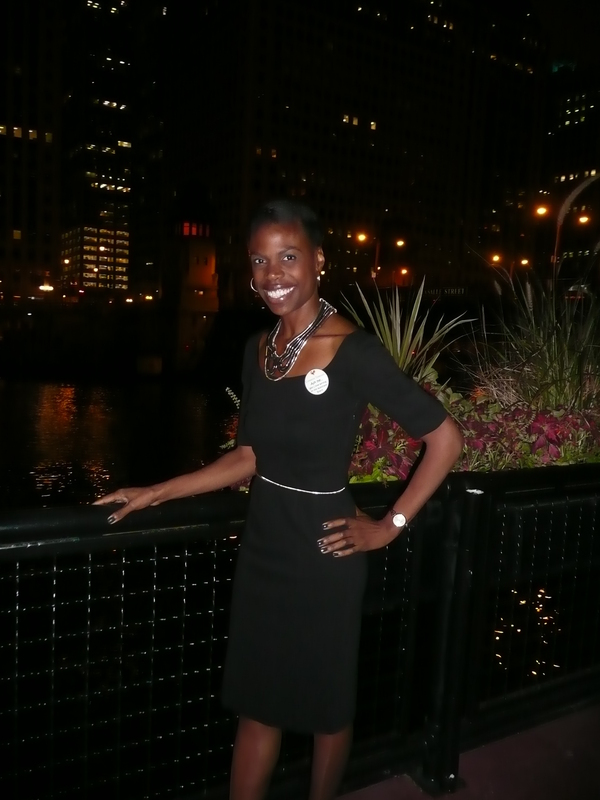 The tables on the terrace outside allowed guests to admire the breathtaking views of the Chicago river. 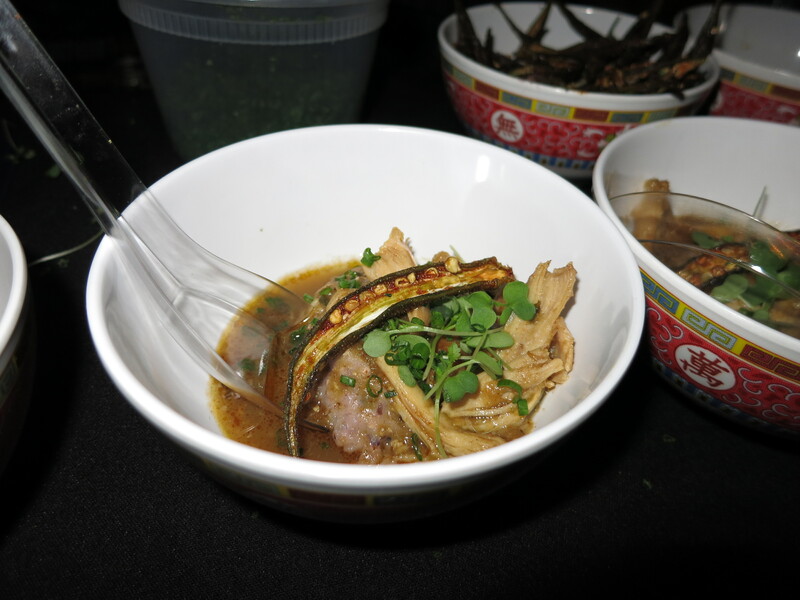 Chicago-area chefs from all of the popular restaurants came together to duke it out for the best dish in a glass, on a stick, in a shell and on a bun. The chefs seemed to have a level of friendly competition between each other, encouraging the cook-off guests to vote for them by placing a voting chip (in the form of a bottlecap) into their bucket. Sara Greunberg (Top Chef Runner Up) was there representing Spiaggia and was shaking her bucket like “vote for us!” Very fun. 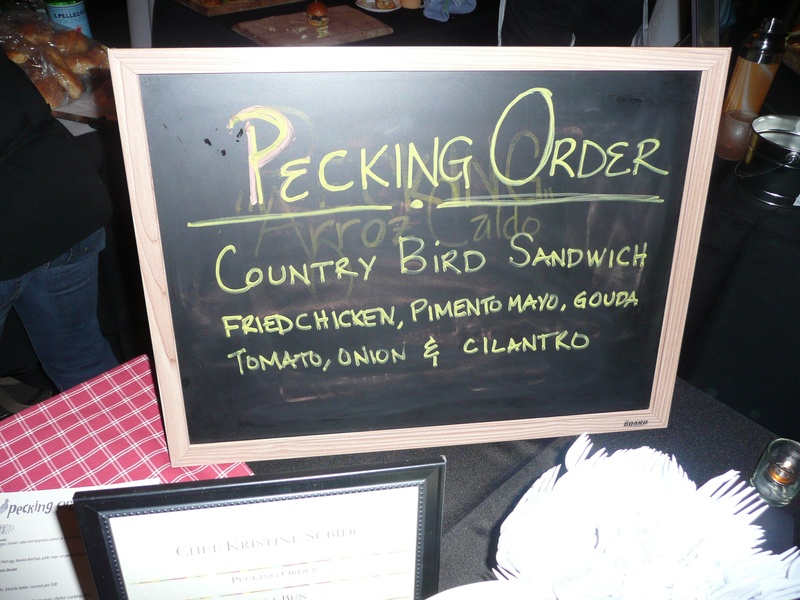 Pecking Order: This country chicken sandwich on a Filipino-style bun had me saying Chik-Fi-Who? K-F-what? Best chicken sandwich I’ve had in quite a while. 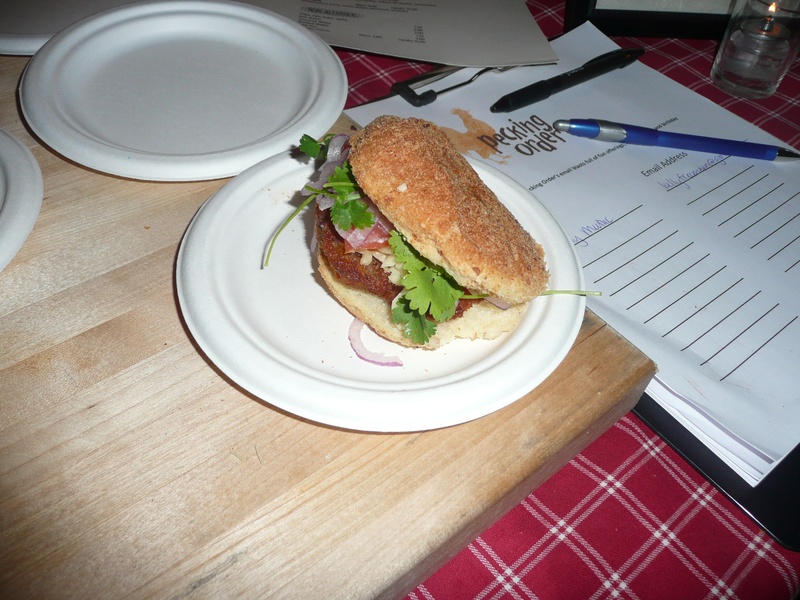 It was dressed with pimento mayo, gouda tomato, onion and cilantro. The bun and the sauce are what really made it stand out. Pecking Order is a relatively new restaurant headed up by chef Kristine Subido – formerly of the Wave Restaurant in the W Hotel. She told me that they are now open for brunch on Sundays, along with lunch and dinner during the week. I gave Pecking Order one of my chips. Guess where I’m going to be going for brunch? 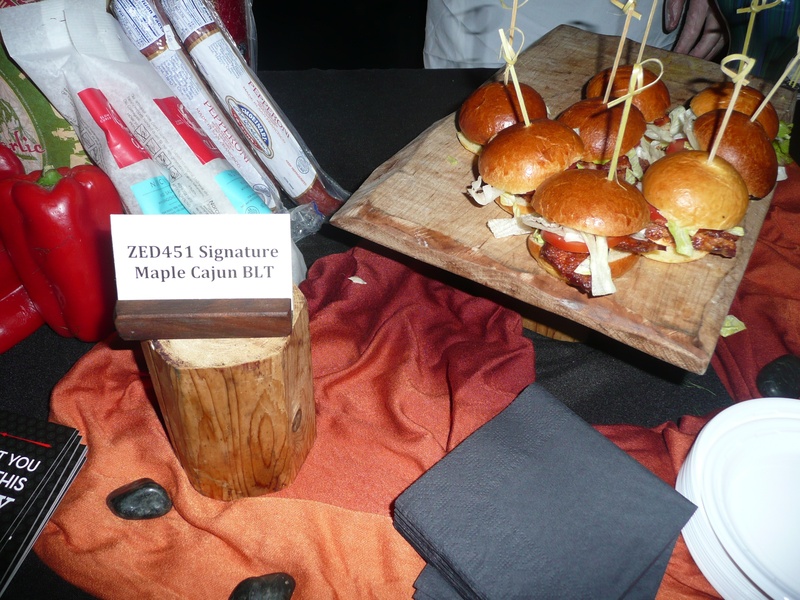 ZED 451: Served this amazing Maple Cajun BLT. Time stopped for a moment and my eyes literally rolled to the back of my head. For the “On a Bun” category, this place tied with the Pecking Order for me. 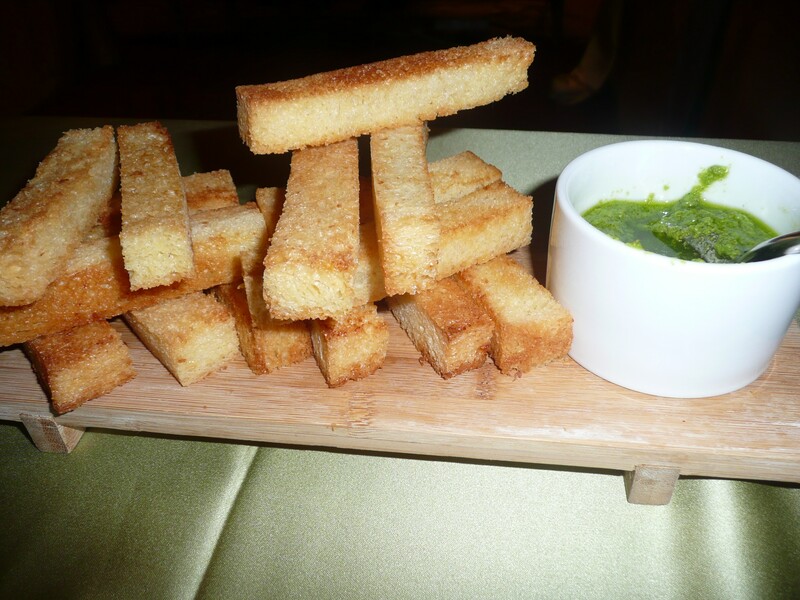 Lockwood: Heirloom Tomato soup and Burrata Cheese Crostini served in an elegant shot glass. Best tomato soup I’ve had in a long time. The crostini is what really made it shine. 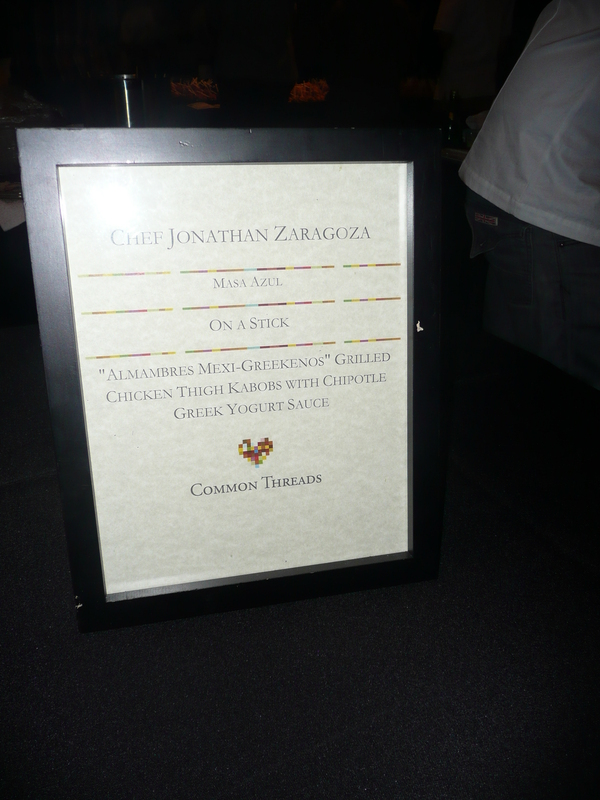 Masa Azul – Chef Jonathan Zaragoza was representing Maza Azul (Mexican restaurant) in Logan Square, and had a tender and delicious Grilled Chicken Thigh Kabob with Chipotle Greek Yogurt Sauce. I love Chipotle anything, and this was very tasty. This is another restaurants that is on my list. How could I not know about this place? It has 4 ½ stars on Yelp. I’m going. Union Sushi & Barbeque Bar – Union Sushi gets the “out of the box” award from me because they served Grilled Kangaroo with Citrus Zest and Sweet Potato Cream. I have never seen Kangaroo on a menu, and I didn’t know that people ate Kangaroo. Quite frankly, I was a little disturbed by the thought because they are so cute. But then I thought to myself, “When would I ever have the chance to taste Kangaroo.” (Unless I go to Australia). I reluctantly tasted it, but was pleasantly surprised. It tastes like beef with a hint of lamb. Very good. 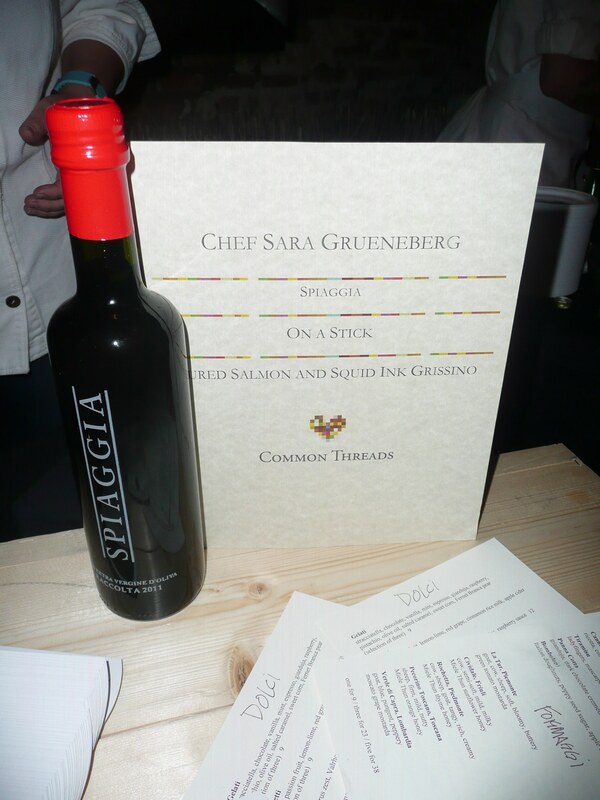 Spiaggia – Sara Gruenberg at Spiaggia had a very creative presentation of a Cured Salmon and Squid Ink Grissino. 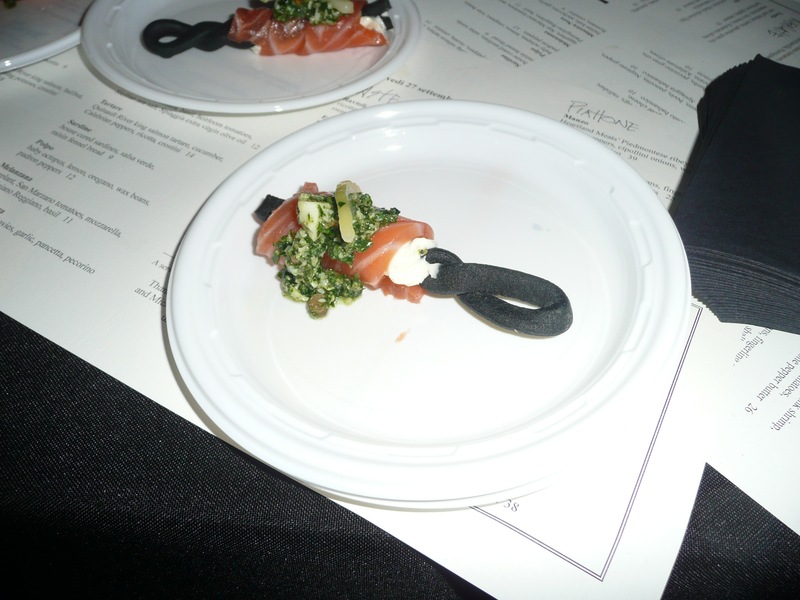 The salmon was beautifully wrapped around a twisted black breadstick (grissino), and the black color came from Squid Ink. This was a well thought dish. 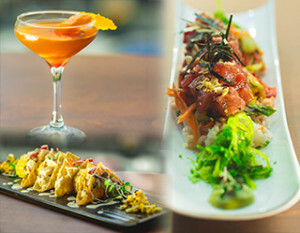 In addition to all of this food, there were also mixologists that had beautiful and delicious custom crafted cocktails. 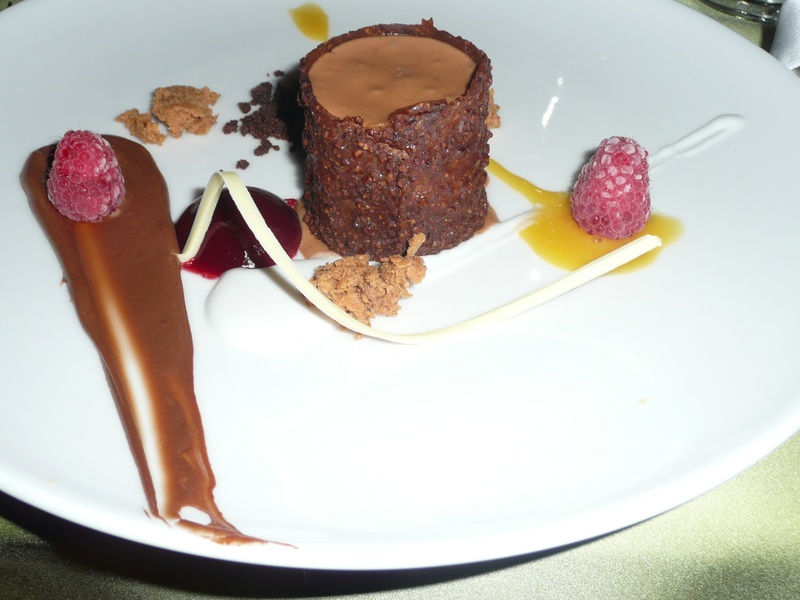 I loved the creativity that came from the chefs, and this event reminded me that these chefs really are culinary artists. This is their art. It was beautiful and delicious. From the food and drinks to the adorable kids walking around helping to get donations, this was a wonderful event. 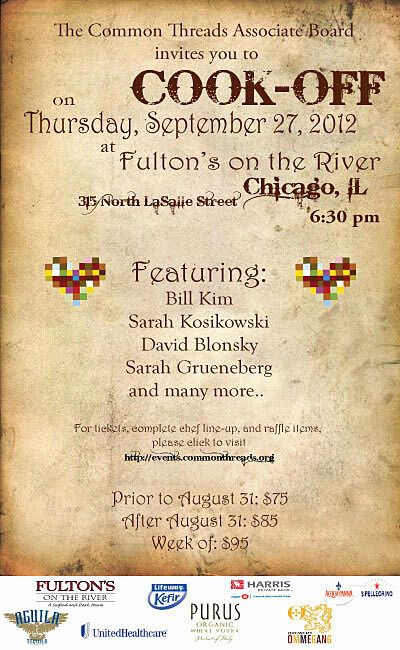 Where else can you have amazing food from Chicago’s top restaurants, and contribute to a great cause at the same time? 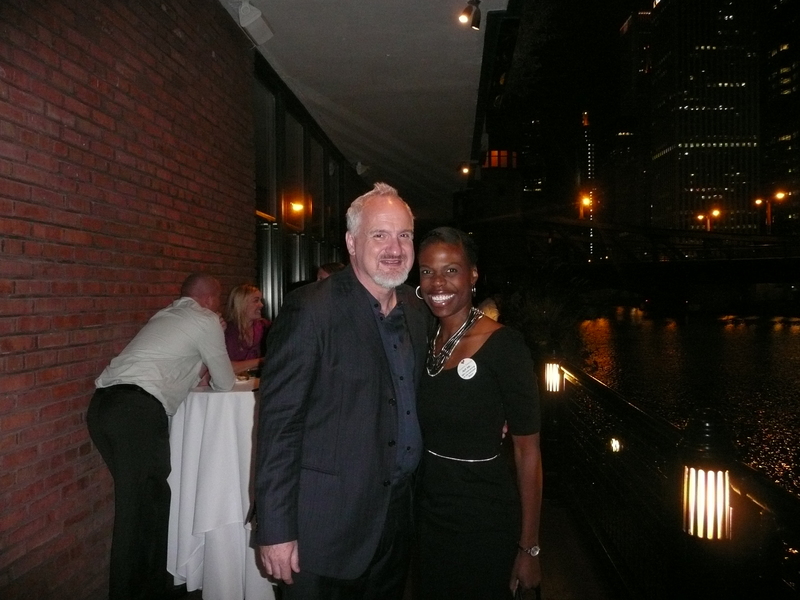 The icing on the cake for me was when Art Smith came by my table and introduced himself. Art is a well-accomplished celebrity chef and the founder of this organization, and it really meant a lot to see him there supporting the Associate Board and interacting with the guests. This is an organization that I’m proud to be a part of because it allows me to serve the community through my passion for food. The best of both worlds. The next Common Threads event is the World Festival in March. I’m told that the World Festival is a super-sized version of this event, and rumor has it that the event in March is going to be the best one yet. Stay tuned!